The “BER” month are here, and Christmas is just weeks away. Make sure you organise your balikbayan boxes early to ensure they are delivered before Christmas. Please be advised of the Christmas cut-off for Balikbayan Boxes. 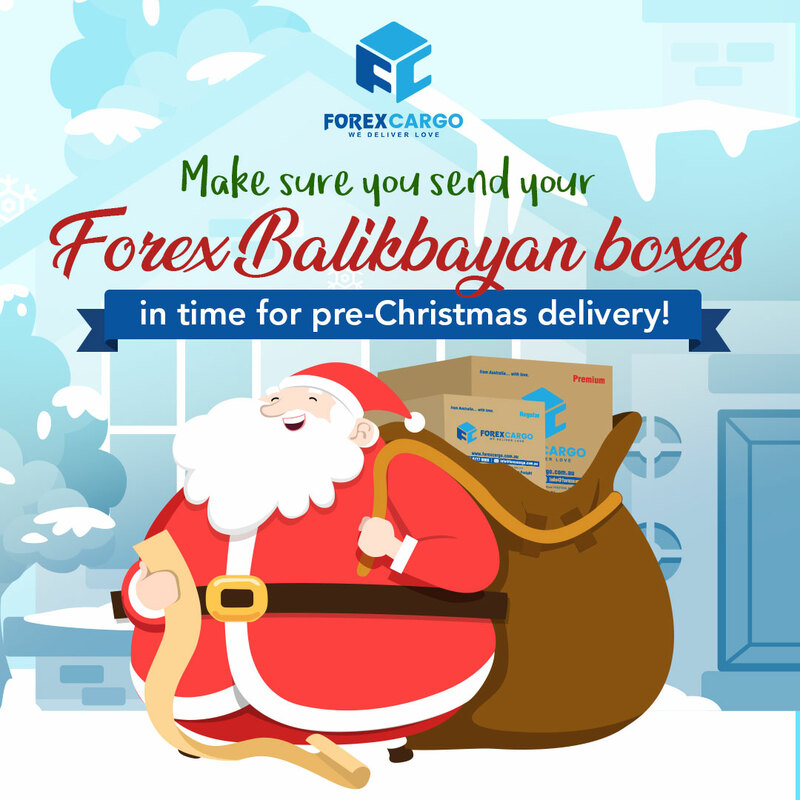 Forex Cargo Balikbayan Boxes must be in Sydney Warehouse before loading date to ensure delivery before Christmas. While all Balikbayan Shipment to Manila (NCR) Must be in Sydney Warehouse before November 1 and Departs on November 6. For a complete list of our Delivery areas and the corresponding cut-off dates please click here. For your all your balikbayan requirements, (both air freight and sea freight), call us on 02 8777 0000. Container Loading Schedule today, Thursday August 9, is now closed.